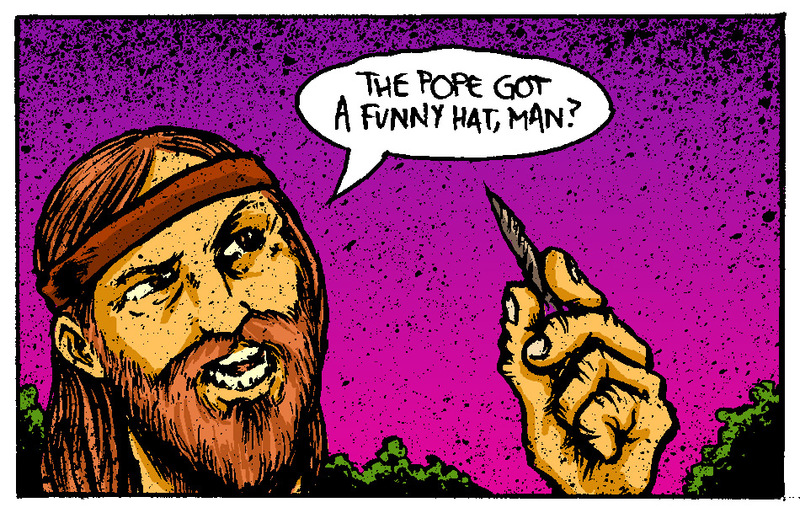 The Pope Got A Funny Hat, Man? Panel written by Jake Kelly, drawn by John G from The Lake Erie Monster as seen in, oddly enough, The Lake Erie Monster #1. You should come to the release party at Blue Arrow on Saturday March 31st from 6pm – 9pm.